Last week, I told you guys that I’m starting a new thing where I’ll suggest one Android game every week for all of our readers with Android devices (I might start doing iOS games from next week as well… just saying). Last week, I suggested Slice It as my recommendation for all of you, and this week I’m back with yet another game. Note: The following game is my personal suggestion, and is neither a sponsored post or Beebom’s collective opinion on what a good game should be like. It’s still awesome though, so read on. Continuing my awkward selection of games that don’t really fit into any particular category except for just something I really like, this week I’m suggesting ‘Not Ping Pong’. I’d call it a sports game, but it isn’t one. 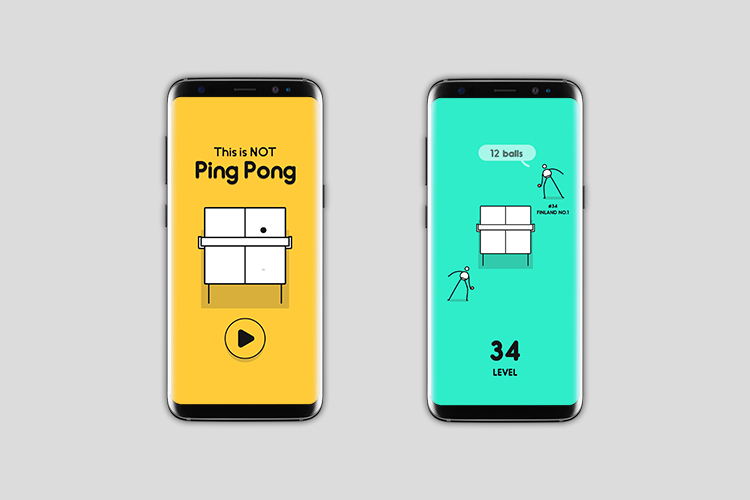 Not Ping Pong is a really easy to play casual game (like that Donald Trump game) that will definitely keep you hooked due to the fact that it’s ridiculously easy to play, and yet it challenges you in the most basic of ways — ways that will, at times frustrate you, but only enough that you keep trying. Yet again, a game that finds the perfect balance between frustrating a player, and keeping them entertained. Almost everything about Not Ping Pong is meant to entertain the player. From the way the players move, to their names, to the fact that even the easiest of games can trick you into failing — Not Ping Pong is awesome. Basically, the game is about reflexes. There are just two things that you have to do — tap on the left side of the screen, or tap on the right side of the screen, depending on where your opponent hits the shot. Every opponent has a limited number of balls after which they get defeated and you’re moved to the next opponent. I know it sounds ridiculously easy, but it’s really not. I mean, sure, the gameplay is easy and the concept is easy, and all you really need to do is make sure you tap on the correct side of the screen, but believe it or not, it’s more challenging than it sounds. I could spend another 500 words explaining just how this game manages to remain challenging in a world where we have games with complex physics and extremely detailed worlds, but I’d suggest you download it and check it out for yourself — it’s free, after all, and I’m telling you, you’ll like it.